We’ll take a close look at what each of these solutions has brought to the table over the years, as well as how they help businesses like yours. Let’s start with the basics. Telephone helps businesses improve operations simply by being available for use, and it has enabled organizations to grow in such a way that it’s a staple in the modern office. Telecommunication providers have only increased their number of services as time passes, layering new features and upgrades, even if most companies don’t necessarily need them, making telephone systems more costly than they have to be. To counter this, VoIP solutions have become much more affordable, leveraging your Internet service to make and accept calls. This comes with all of the features that your typical phone system would have, but at a fraction of the price offered by cable companies that heap unnecessary services on customers. Computerware can help your business start to save money with VoIP today. Email is another technology that has persisted through the ages, increasing in scope and use to the point where if someone doesn’t have an email address, they can’t do various things online, like create an account on a website. Email is also incredibly important for correspondence with clients and internal employees, and through integration with a customer resource management software, you can push notifications to the center of your attention. Email is much more intuitive than it ever was in the past, but this also makes it much more time-consuming. If you’re not careful with managing your messages, you risk exposing important information to the wrong people, opening the doors to hacking or phishing attacks that can cripple your infrastructure. Still, the fact that email is so useful makes people want to create solutions designed for integration with it, making it an easy way to achieve as much as possible with a single solution. 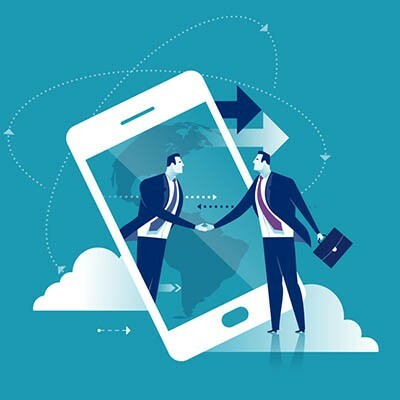 Collaboration is more important today than it has ever been in the past, as some organizations take full advantage of remote connectivity to hold virtual meetings to keep employees working together or to stay connected with distant clients. With solutions out there that allow for screen swapping, video presentation, and face-to-face communication, conferencing technology has come a long way. Some conferencing software solutions allow for integration with your VoIP solution, making for an easy way to stay connected with all of your employees--remote workers included. Instant messaging lets your team communicate easily and efficiently. In fact, it’s such a common program that many business apps have it built right into them. Unfortunately, these are also major issues that come from instant messaging, with the biggest among them being the distraction they cause. These programs often provide a “for business” product, though, so the issues that come from these solutions can be mitigated. Some of the issues presented that can be lessened include security, reporting, and media sharing, thus keeping your organization both secure and productive. Project management is made much easier thanks to team collaboration applications. The two biggest on the market at the moment are Slack and Microsoft Teams. They both offer an interface similar to the modern email solution, along with email’s capabilities, real-time messaging, and countless other integrations that allow project managers to get the most out of their assets. Users can create forums to ask questions or start conversations, and useful information can be shared with the entire implementation team. By creating a solution that enables project managers to see a project’s progress at a glance, developers have provided businesses with a great way to collaborate across departments for success. Does your business need more ways to communicate? Computerware can help. To learn more, reach out to us at (703) 821-8200.